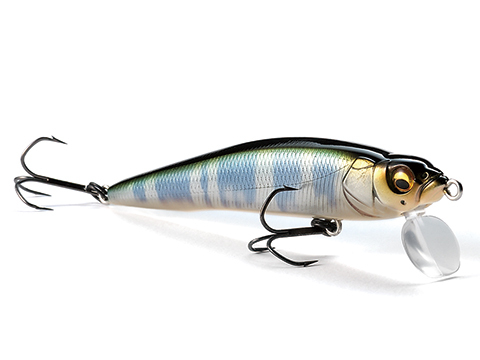 A new type of buzzing minnow that excites bass! The amazing casting distance achieved by the FX SYSTEM (PAT.) 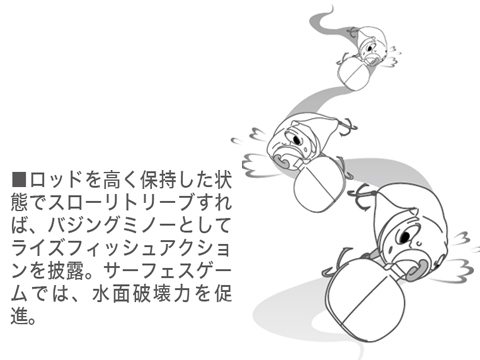 is applied to the enlarged lip of the FX-ZERO, a long awaited surface model in the immensely popular FX series. 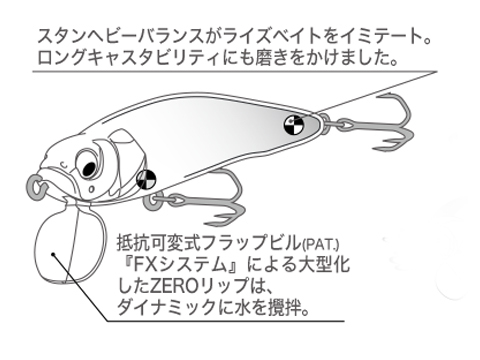 This allows the FX-ZERO to exhibit superior long-distance casting; the lip folds into the body to increase aerodynamics during flight, and returns to its factory position during retrieve. Using high-density tungsten weights, FX-ZERO hugs the water just under the surface, maintaining a level rolling-action that excites the feeding instinct of bass. 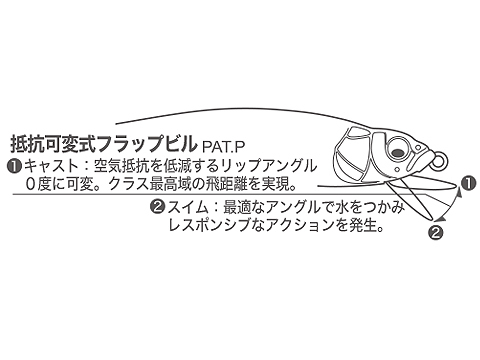 This lure will cause inactive fish suspended in the shallows to bite before they think. 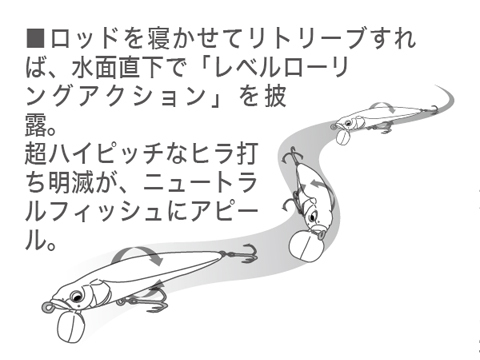 By keeping the rod in an elevated position during slow retrieves, the FX-ZERO will splash as it stirs up the water, gracefully mimicking a rising baitfish. It allows for an aggressive approach even in heavily weeded areas.